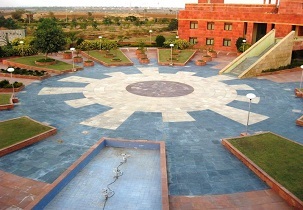 LNM Institute of Information Technology in short known as LNMIIT was brought into existence in the year 2003 in Jaipur, Rajasthan. LNMIIT was granted with deemed university status in the year 2006. LNMIIT is been accredited with grade ‘A’ by NAAC. 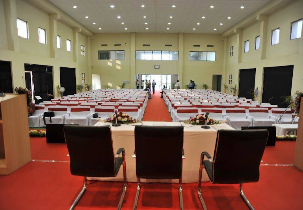 LNM Institute of Information Technology is expanded up to 100 acres of land providing exquisite atmosphere for the students to study. LNM Institute of Information Technology offers 5 under-graduates and 3 post-graduate programs in engineering. LNM Institute of Information Technology is been awarded with 3rd rank by Edu Rand amongst the top private universities in India. The institute has also attained the grade AAA+ by Career 360 in the category of top engineering institutes in Rajasthan. Notable alumni’s of LNM Institute of Information Technology are Ajay Singh Rathore: Author, Manu Yadav: Co-founder of ENuke Softwares, Vidit Paliwal: Co-founder of BigStep Technologies, Saurabh Gupta: Founder of Neutrino IT Technologies, Utkarsh Jain: Cofounder of Codescape Consultants, Rohit Agarwal: Co-Founder of Noida Polymers, Karmesh Gupta: Co-Founder of HttpCart Technologies and WiJungle, Vinay Puri: Founder of Webinova and many more. LNM Institute of Information Technology encourages students in extra-curricular activities like organizing fests, culturals, sports etc. the notable festivals organized by the institute are VIVACITY: Cultural-Management Festival, E-FEST Asia Pacific: Technical Fest and PLINTH: Techno Management-Literary Fest. LNM Institute of Information Technology is located near Jal Mahal, Nahargarh Fort, Hawa Mahal, Central Park, Albert Hall Museum, Jawahar Circle Garden, Amber Palace and many such places. The college offers 4 specialisations. Each specialisation is handled by well experienced faculties. Any doubts in any subject will be cleared by them and they are available even after college hours. The fee for 2 years is INR 10,58,000 and per year you have to pay INR 2,72,000. 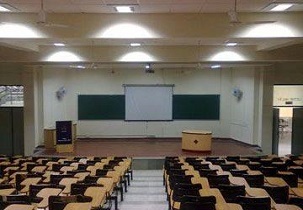 M.Tech course is a master of BE for 2 years divided into semesters. INR 3,73,200 will be your total course fee. One taken a specialisation in BE and wants to further proceed in that subject in deep will be choosing this course that helps them paid with high salary in top MNCs after graduation. MS is purely a research on a particular discipline or subject for those with passion and keen interest to improve their technical skills. It is nothing but all disciplines related to BE or ME where the knowledge given in the book will be more and the core subjects. 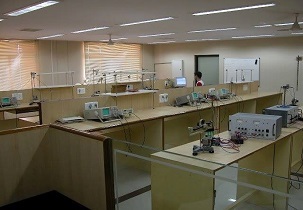 The course is related to science and mathematics. Students willing to pursue higher studies after the completion of B.Sc. choose this course to become pro in a particular specialisation and get succeeded in their career. The most prominent course where you have to research by activating your brain to go deeper into the subject or the information and get doctorate degree in that. A person has to gain as much as knowledge and get specialised and make some research in a particular subject. 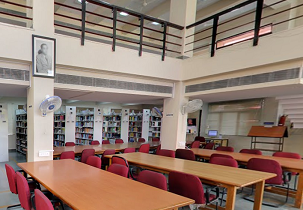 The college campus and the hostel campus are big enough to accommodate many students. The hostel facility includes basic amenities, furnished rooms and water heater, water cooler and 24/7 internet facility which is all included in internet and electricity charges. There is mess maintenance charges also so you could get an idea that mess is maintained well-hygienic food is provided with a multi-cuisine menu. The placement body handles all the training and counselling the students they follow up each and every student to know their drawbacks and guide them to the right path. 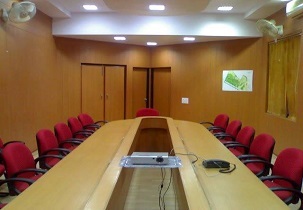 They maintain the coordination and the bonding between students and corporate world. There is faculty and student coordinator or the representative who takes the initiation and updates the students with upcoming drives, salary packages basically every detail required for the student. is it possible to take direct admission in management quota, pls ping me.? Can I get cs branch in lmniit with 40 marks in jee main and 12th percentage between 75-80 %.? Candidates should have a minimum of 50% aggregate in their intermediate with physics, chemistry and mathematics as mandatory subjects. Candidates with a valid score in JEE Mains entrance examination can apply for The LNM Institute of Information Technology admission. Can I get admission in btech computer science? Students should obtain a minimum of 60% aggregate in 10+2 (PCM) for LNM Institute of Information Technology admission. A valid score is a must for a student to obtain in JEE Mains entrance examination. Student’s meeting all the above mentioned eligibility criteria shall be qualified for the admission. Student’s willing to take admission can apply online/offline with the required details. can any hoe i take admission in lnmit jpr if i dont appear in jee ? Candidate should have minimum 60% aggregate in 10+2. Candidate should have a valid score in SAT. Admission is based on rank obtained in entrance examination. Candidates can apply online/ offline with required information. Are you Interested inThe LNM Institute of Information Technology"? Please provide the following details.